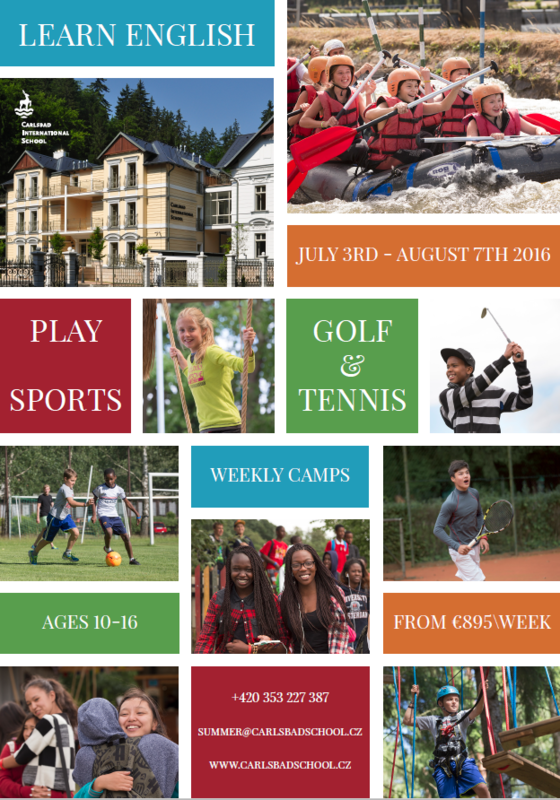 Carlsbad International School invites students ages 10-16 to experience the Czech Republic in a variety of activities at Carlsbad Summer Camps 2016. Students from all over the world will also experience Karlovy Vary, its historical surroundings and take trips to famous destinations around the Czech Republic. In addition, they engage in a variety of sports activities (tennis, golf) and filming during the International Film Festival. For more information about the Summer Camps, please, follow this link. Furthermore, Carlsbad International School will be pleased to welcome and enroll Korean students aged 14-18 in the prestigious IB program. For talented students there is prepared a special scholarship program in the occasion of the 700th anniversary of Charles IV birth „Karel IV Stipendium“. Since Karlovy Vary is also famous for top triathlon events, for young sportspeople there are triathlon scholarships on offer. For more information about the Carlsbad International School programmes, please, follow this link.